Offering pregnant women a DNA test for Down’s syndrome on the NHS would reduce the dependency on invasive tests and potentially save the lives of unborn babies, a study shows. The research - led by the team of Professor Kypros Nicolaides at King’s College Hospital and King’s College London - is published in the Ultrasound in Obstetrics and Gynaecology journal today. In the study, of those women judged to be at high risk for carrying a baby with Down’s syndrome, a far greater number opted for the ‘cell-free’ DNA test compared to those requesting invasive testing. 60% of women in the study chose the cell-free DNA test, compared to 38% opting for invasive testing. At present, a woman’s risk of carrying a baby with Down’s syndrome is based on an assessment of her age, the level of hormones in her blood and the results of a ‘nuchal scan’, which measures fluid collection at the unborn baby’s neck. Women deemed to be high risk following this ‘combined assessment’ are given the option of further tests, which involve using a needle to take a sample of the placenta (chorionic villous sampling, or CVS) or the fluid that surrounds the baby (amniocentesis). CVS or amniocentesis are still the only tests that can provide a definitive diagnosis of Down’s syndrome, but carry a risk of miscarriage. The study involved 11,692 women with single pregnancies treated at two different NHS hospitals; King’s College Hospital, London, and the Medway Maritime Hospital, Kent. A small proportion of these women (395) were found to be at high-risk for Down’s syndrome. The cell-free DNA test - which involves a far less-invasive blood test of the pregnant woman - is a highly reliable test for Down’s syndrome, but is currently only available privately and costs hundreds of pounds. 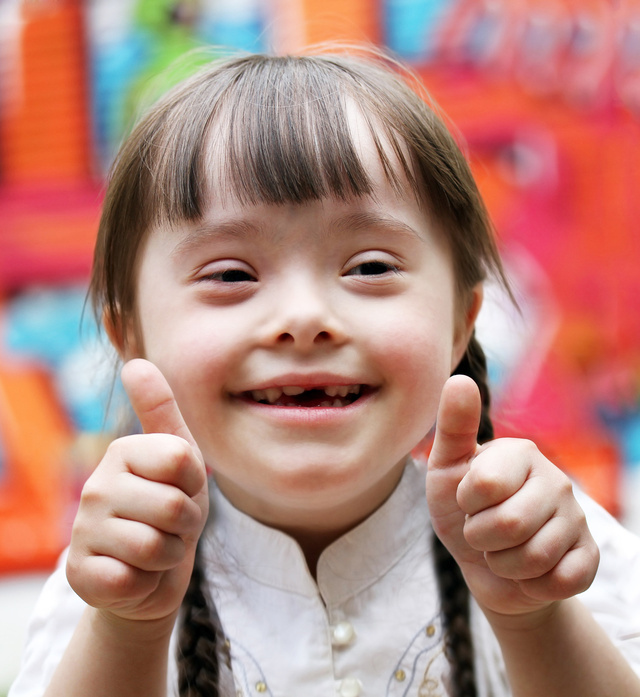 The results of the study suggest that the best approach to screening for Down’s syndrome is to offer the combined test to all pregnant women and, based on the results of the test, to select a group that would benefit from the cell-free DNA test. The study also found that the DNA test can be easily incorporated into routine clinical care within the NHS, and is the preferred option for pregnant women. In this way, a higher proportion of affected pregnancies can be identified, resulting in a small increase in the overall cost to the NHS, but a major decrease in invasive tests. Crucially, the study also showed that although Down’s syndrome could be detected in more babies, this did not translate into a higher number of pregnancy terminations. Many women want to know if their baby is affected so that they can make an informed decision for themselves and their family.